Fort Worth rental property investors have a big decision on their hands when they’re looking for someone to manage their properties. It doesn’t matter if you have one home or 100 homes; you need someone who is going to effectively care for your property, your tenants, and your bottom line. A growing trend in the real estate market is buying property with family and friends other than your romantic partner. Home prices in some areas make owning property on your own difficult, but with a trusted friend or family member, it is attainable. Instead of spending your entire savings on the down payment for a small condo, you could afford a single family home which you can then rent out for a profit. Pooling resources with your sister, nephew, or coworker is a great way to start in the rental home market. 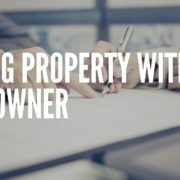 Specialized Property Management, the property managers Ft Worth landlords trust, can help you decide what is right for you. Owning rental property is a long-term business investment. When buying a rental property with friends or family members make sure you keep this in mind. All decisions regarding your rental property should be treated in the same way you would treat any other business decision. Costs and workload should be split fairly and upfront. For example, who will your tenant call in the middle of the night for an emergency? Good Fort Worth property management decisions will ensure your partnership will be fruitful and last throughout the years. The best thing you can do for your rental property partnership is hire experienced, professional property managers. Ft Worth landlords have trusted Specialized Property Management for almost 30 years because we know how to make the most out of your investment. When you hire the property managers at Specialized, you know your property will be run like a business, and you no longer need to worry about screening tenants, seasonal maintenance, or those middle of the night emergency calls. Call Specialized today to hear about all our services! As a rental property owner, as with any other business investment, your goal is to make money. Tenant turnover can be a huge expense for property owners. Turning over a rental home is expensive because even when you don’t have major renovations to do you will have cleaning, rekeying, and other small tasks that can quickly add up. Plus, the vacancy time between tenants means no income for you. 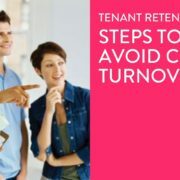 That is why the property managers Ft Worth landlords trust put together these tips for tenant retention. The number one way to keep your tenants renting from you is by keeping them happy! Tenants are happy when their home is maintained, and their requests are met quickly. At Specialized Property Management we also do our best to make sure each need is met quickly and the tenant feels heard. Your Fort Worth property management makes this simple with an easy to use online portal and 24/7 response. Tenants can quickly pay rent and fill out maintenance requests through their portal. Specialized also has maintenance checklists to ensure your rental home is being taken care of throughout the year. Regular inspections are performed to make sure everything is in working order and up to code. When tenants see you care for your property they will care for it to, turning it from a rental house to a rental home. With you have full-time, professional property management, Ft Worth tenants know their need will be met and their voices will be heard. Specialized has almost 30 years in the rental property business, giving them the knowledge and experience you need in a property management company. For more information about all our services call Specialized today.